Collect 2000 Avios when you signup for our Wifi/LTE package. What happens if I do not have an Avios Travel Rewards Programme or British Airways Executive club account? Can I still collect Avios? All you have to do is create your FREE Avios account by visiting http://www.avios.com or British Airways Executive Club account by visiting http://www.ba.com – Once you have successfully registered, you will instantly be issued with your new Membership number/s, which you can then enter into your OpenWeb Client Panel to start earning Avios on your eligible OpenWeb purchases. Can I claim missing Avios? Yes you can. If the system has not automatically applied Avios to your account and you have purchased an eligible product, you may email avios@openweb.co.za with your request. Please note, it may take up to 30 days for missing Avios to be applied to your account, if eligible. Once I have loaded my Avios / British Airways Executive Club membership number to the OpenWeb client panel, will I receive Avios for past purchases? Unfortunately not. Avios will only be applied from the date you load your Membership number. Will OpenWeb automatically load Avios to my account? 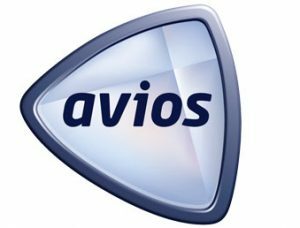 If you have entered your Avios Membership number or British Airways Executive Club number in your OpenWeb Client Poral (https://home.openweb.co.za), and the product /s you have purchased from us qualifies for Avios, we will automatically load the Avios to your account once per month. How can I collect Avios with OpenWeb?